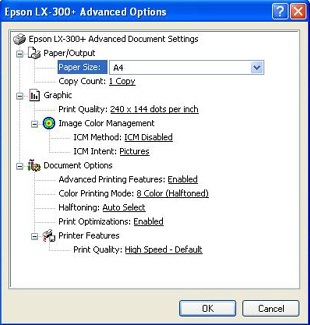 Click on 'Start' Button and Select 'Printers and Faxes'. 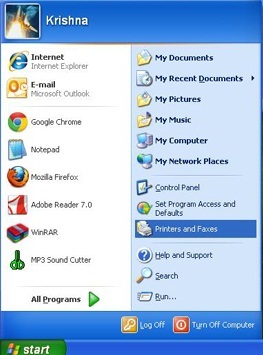 It will open a new window as shown in below image. Click any where in Blank Area of new window. 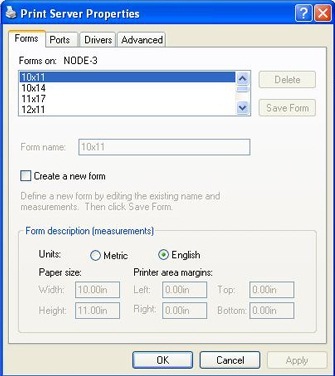 Then click on 'File' menu and select 'Server Properties'. Click on 'English' as shown in below image. 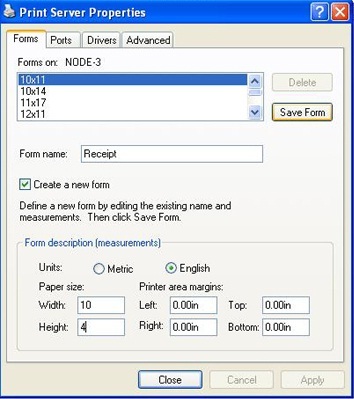 In Form name box write 'Receipt'. In width box write '10' and in height box write '4'. 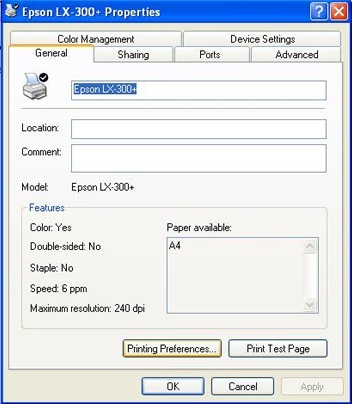 Now, right click on Dot-Matrix Printer from available printers and select 'Properties'. 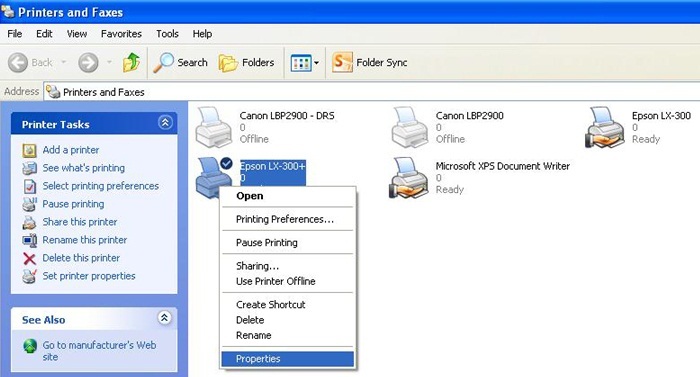 It will open a new window as shown in below image. 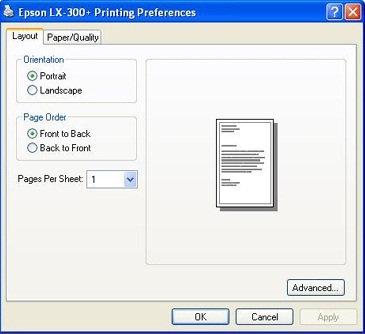 Then Press 'Printing Preferences' button. Now, press 'Advanced...' button as shown in below image. 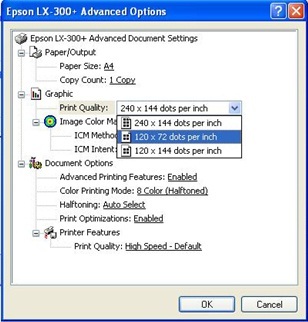 Click on 'Print Quality' value as shown in below image. and select '120 x 72 dots per inches'. Press 'OK' in remaining open window.